In India, a career in engineering is highly appreciated. Not only does it bring a good reputation, but it has amazing monetary benefits. This has certainly piqued the interests of students who after passing Class 12th or graduation aim at getting a seat in the IITs, IIITs, NITs, etc. However, the journey is not that easy. One has to burn the midnight oil to get a seat in these elite institutes. With lakhs of aspirants taking various engineering entrance exams every year, the level of the tests is also getting stringent to more stringent. Entrance exams have different levels or stages, such as - university level, national level and state level. Such entrance examinations are conducted by various authorities that organise the exam, declare the result and eventually, pave the way for admission to top-notch engineering institutes. Pursuing an engineering course from a reputable institute will also have good job prospects down the line. If you are one of the aspirants who wish to get into India’s leading engineering institutes like Indian Institutes of Technology and National Institutes of Technology, you have got to check the following list, which consists of popular exams like Joint Entrance Examination (JEE) Main and Advance, Graduate Aptitude Test in Engineering (GATE), UPSEE, etc. One of the most sought-after engineering entrance tests in the country is Joint Entrance Examination or JEE. Clearing the exam would get you a seat in the best engineering colleges in India - IITs, IIITs, NITs, CFTIs (Centrally Funded Technical Institutes), etc. Candidates can pursue undergraduate courses like B.Tech/B.E and B.Arch/B.Planning. 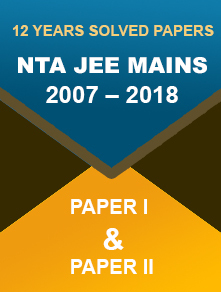 Recently, the National Testing Agency has taken over the duties of managing JEE Main from the Central Board of Secondary Education (CBSE). NTA will now conduct the exam twice in a year. The second stage of the Joint Entrance Exam, JEE Advanced is organised for admission to various B.Tech., Integrated M. Tech. and B.Tech/M.Tech dual degree courses in engineering, architecture, pharmaceuticals and science in all 23 IITs in the country. However, IIT conducts JEE Advanced exam on a rotational basis. The IIT JEE Advanced 2018 was organised by IIT Kanpur. Candidates after qualifying the JEE Main exam are considered eligible for the Advanced exam. The exam is conducted in online mode and has two papers. Students interested in pursuing B.E/B.Tech can take the Paper 1 exam. Those who wish to take B.Planning/B.Arch can take the Paper 2 exam. 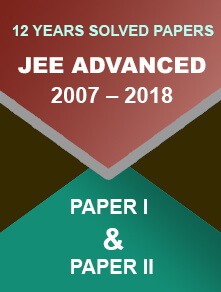 The following table focuses on the dates of JEE Advanced 2019. Another high-profile engineering entrance exam is Graduate Aptitude Test in Engineering or GATE. This is a national-level test organised for admission to M.Tech and Ph.D programmes offered by the Ministry of Human Resource Development (MHRD) supported institutes and colleges. The courses students can opt for are engineering, architecture, science and technology. The exam is jointly conducted by IISc and Seven IITs on behalf of NCB (National Coordination Board). The purpose of the examination is to qualify candidates for PSU recruitment and M.Tech./M.E/ PhD admissions. Both the mode of application and the examination will be conducted online. Students will have to sit for 180 minutes to answer all the 65 questions. Candidates preparing for GATE 2019 can submit the application form by visiting the GOAPS website (http://appsgate.iitg.ac.in). The Gate Online Application Processing System will likely to be started from the first week of September 2018. UPSEE is a state-level examination held to select students for admissions in various technical colleges of Uttar Pradesh. UPSEE exam is conducted by Dr APJ Abdul Kalam Technical University (AKTU). After clearing the exam students can get into their favourite technical courses such as B.Tech, B.Arch, B.Pharm, BFAD, MBA, BFA, BHMCT, MAM and MCA. UPSEE UG 2019 is expected to be held in the last week of April, and UPSEE PG 2019 is likely to take place in the first week of May. Conducted by Birla Institute of Technology and Science (BITS), BITSAT entrance exam is an online test for admission to various Integrated First Degree courses of BITS Pilani campuses such as Pilani, Hyderabad and Goa. Students looking to get into BITS in B.Tech, M.Sc and B.Pharma courses must qualify the BITSAT 2019 exam. BITSAT applicants need to keep a track of the exam dates and other important details like the official notification, syllabus, exam pattern, admit card, etc. Fill the application form on the official website of BITS Pilani (http://www.bits-pilani.ac.in). Candidates must get well-acquainted with the exam pattern. The computer-based exam will have 150 objective type questions. The duration of the exam is 180 minutes. A university-level examination organised by the Vellore Institute of Technology University, Tamil Nadu, VITEEE 2019 offers admission to four-year B.Tech courses in the Vellore and Chennai campuses. The mode of the engineering exam is online and the questions come in objective-type. The entrance test is conducted to fill 5,000 B.Tech seats. Apart from engineering courses, the varsity carries out various research programmes. Preparing for VITEEE 2019? Here are some details that you must keep a track of. Administered by Guru Gobind Singh Indraprastha University, the IPU CET 2019 is a qualifying entrance exam for admission to various B.Tech courses. Students willing to study at GGSIPU must undergo and qualify the entrance test. The popular B.Tech programmes that the University offer include Computer Science Engineering, Electronics & Communication Engineering, Chemical Engineering, Civil Engineering, Electrical Engineering, Instrumentation & Control Engineering, Mechanical Engineering, Electrical & Electronics Engineering, Power Engineering, Mechatronics, Bio-Chemical Engineering, Tool Engineering and Information Technology. Apart from engineering programmes, the Varsity offers admission to B.Sc Nursing, BBA, BCA, B.Ed, LLB, MBA, etc. Admissions to GGSIPU and its affiliated colleges are based on the basis of IPU CET scores. The exam is held once a year. Fill out the application form online at the official website of Guru Gobind Singh Indraprastha University (http://www.ipu.ac.in). Here’s a sneak peek into the important dates based on the previous years’ trends. COMEDK UGET is a state-level exam conducted by the Consortium of Medical, Engineering and Dental of Karnataka. The COMEDK exam gives an opportunity to the students of Karnataka to pursue engineering courses in 150 engineering colleges. COMDEK 2019 is expected to be commenced in the second week of May. Also known as Karnataka CET, the Karnataka Common Entrance Test is a state-level examination conducted for admission to engineering, architecture and pharmacy programmes. The Karnataka Examinations Authority is the conducting authority. The score of KCET is accepted by numerous universities and colleges of Karnataka. The exam is held every year. In 2019, the entrance test is going to be held in the month of April. As you step in 2019, just be alert and stay in touch with the official website (http://kea.kar.nic.in/) for the release of the application form. The online application form is expected to be released towards the end of January 2019. However, candidates can take a note of the tentative dates, based on that they can proceed with the exam preparation. Those who wish to take admission in the Maharashtra technical colleges must appear for the Maharashtra Common Entrance Test. MHT CET 2019 has been scheduled to be held in the month of May. The exam is conducted by the Government of Maharashtra, State Common Entrance Test Cell. Candidates will only be considered eligible for admission in the state technical colleges – both private and government - after clearing the exam. The entrance test is organised for admission in various undergraduate courses in Engineering and other professional degree courses. If the last year’s trends are taken into consideration, the Maharashtra CET will possibly take place in the month of May. Candidates will be able to avail the application form by mid-January 2019. One of the highly-competitive national-level engineering exams, IIT JAM is conducted on a rotation basis by the Indian Institutes of Technology. IIT Bombay was the organising Institute for JAM 2018. The Indian Institutes of Technology regulates JAM exam to offer admission to various postgraduate courses. Some of the post-bachelor degree programmes are M.Sc, M.Sc-Ph.D dual degree, Joint M.Sc-Ph.D, etc. Thinking to apply for IIT JAM 2019? Be alert and stay in touch with the official website (http://jam.iitb.ac.in/) for any updates. Let’s take a look at the upcoming time-table of the exam events. 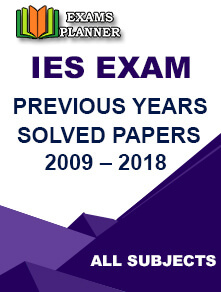 Bihar Combined Entrance Competitive Examination 2019 will be held in the month of June in two stages – Stage I and Stage II. The First Stage is the qualifying exam for Stage II. Commonly called as BCECE, the exam is the Bihar Combined Entrance Competitive Examination Board. The state-level exam is conducted to allow engineering aspirants to take admission in various technical colleges in the state. Students belonging to states other than Bihar are not eligible for this entrance exam. Moreover, the interested students must produce the 10+2 or equivalent certificate from any recognised board. If you have scored above 50 per cent marks in the 12th exam and are a resident of Assam, you are eligible for the Assam CEE 2019 exam. Moreover, candidates who are below 21 years of age can submit their application form. Assam CEE exam is regulated by DTE (Directorate of Technical Education). By clearing the exam, the students would get seats in the best engineering institutions within the state of Assam. The Commissioner for Entrance Examinations, Kerala regulates the Kerala Engineering Agricultural Medical Entrance Examination for admission to the engineering courses. KEAM 2019 ensures that the applicants have secured more than 50 per cent in the High Secondary examination with Mathematics, Physics and Chemistry subjects. Apart from the Indian citizens, OCI and PIO candidates are also eligible for the exam. The Kerala Engineering Agricultural Medical entrance exam is going to be held in the month of April 2019. Students have ample time to prepare for the exam and clear it. Stay in touch with the official website of KEAM i.e. https://cee.kerala.gov.in for the latest update. The West Bengal Joint Entrance Examination Board, commonly known as WEJEEB, controls and manages the state-level West Bengal Joint Entrance Examination. WBJEE 2019 will be held by the Board to filter out eligible students for various undergraduate engineering courses. A candidate will be considered for the engineering courses if he has passed the 12th or equivalent exam. 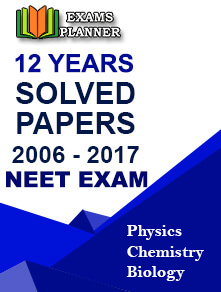 Besides, he must have Physics and Mathematics along with Computer Application, Chemistry, Computer Science, Biotechnology or Biology (one from the list). If you believe that you possess all the attributes, stay alert for the release of the online application form. It is expected that the exam-conducting body will make it available by the third week of December 2018. WBJEEB is yet to declare the dates. However, interested candidates can take a look at the table illustrated below and get a rough idea about the various exam event dates. The Jawaharlal Nehru Technological University, Hyderabad is entrusted with the tasks of conducting TS EAMCET 2019 exam. The state-level entrance test is carried out for offering admission to various engineering courses (B.Tech, B.E, etc.) in the state of Telangana. Those who are eagerly waiting for the University to release the online application form must wait until mid-March 2019. The exam will be conducted in the online mode. Make sure that you are eligible to apply for the test. https://tseamcet.nic.in is the official website. Applicants are advised to visit the web portal and look for the application form in March 2019. Failing to submit the online application form would result in claiming the late fees. Check the below table to have a broad view of the exam events and the dates. AP EAMCET 2019 is one of the highly sought-after entrance exams in the state of Andhra Pradesh that offers admission to numerous popular engineering programmes. Like TS EAMCET, the Jawaharlal Nehru Technological University (JNTU) conducts the Andhra Pradesh Engineering, Agriculture & Medical Common Entrance Test annually. Candidates are suggested to check whether they are eligible for the exam before submitting the application form in February 2019. Want to check other important dates? Here’s a list of important dates of all exam events of AP EAMCET 2019. The CUCET 2019 application form will be available in March 2019. It will be available in the online mode; hence, candidates are advised to fill it in and submit online. The national-level entrance test is conducted by various participating universities of India. The number of participating universities is 11. After qualifying the exam, candidates will be able to pursue their favourite engineering courses. Nonetheless, the eligible candidates will have to produce their education qualification details. Someone who wishes to pursue a Bachelor Degree course must produce his 10+2 certificate. Those who want to study postgraduate and doctorate are bound to showcase proofs of their Bachelors and Masters Degrees respectively. Refer to the underneath dates devised by the experts and get a rough idea about various exam events of the Central Universities Common Entrance Test. The official CUCET 2018 exam dates will be announced shortly. One of the state’s important engineering exams, Odisha Joint Entrance Examination (OJEE) 2019 will see thousands of aspirants taking the exam in the month of May. After clearing the exam, students can get into their preferred engineering colleges and pursue UG and PG level professional courses. The OJEE 2019 online application form is expected to be released in February. The exam is organised every year by the state government of Odisha. For candidates wishing to pursue PG courses, age limit is not mandatory for them. Lovely Professional University organises NEST (National Eligibility and Scholarship Test) exam to form the basis of eligibility for various programmes and scholarships. The university-level exam offers admission to various engineering programmes. The scholarship scheme is also available for competent and capable aspirants. Interested candidates can log on to the official website of LPU NEST (http://nest.lpu.in/) and register for the exam. The application form can also be submitted in the offline mode. The offline application forms can be obtained from specific centres and are required to be submitted with the application fee. JKBOPEE will invite the application form for the Jammu & Kashmir Common Entrance Test 2019 in the online mode. Candidates must go through the instructions and keep all the required documents ready before filling out the form. To know more about important dates, check the table illustrated underneath. Candidates who have passed the 12th or equivalent examination from any recognised university can take JEECE 2019 exam. The Jharkhand Engineering Entrance Competitive Examination is a state-level entrance test regulated by the Jharkhand Combined Entrance Competitive Examination Board. Students who want to pursue B.Tech./B.E. courses in Jharkhand have to appear for the Jharkhand Engineering Entrance Competitive Examination. The official website of JEECE exam is http://jceceb.jharkhand.gov.in/. The Chhattisgarh Professional Examination Board (CPEB), Raipur, is bestowed upon the responsibilities of regulating the Chhattisgarh Pre-Engineering Test to provide admission to various engineering courses. The CG PET 2019 application form is likely to be declared in the month of March. Candidates after clearing the exam will get admission in private and government colleges in the state of Chhattisgarh. Check out other important dates of CG PET 2019 exam below. The exam-conducting authority, Cochin University of Science and Technology, Kerala, conducts CUSAT Common Admission Test (CAT) every year to ensure that eligible candidates are offered admission to various UG and PG courses in the engineering field. Below are listed the dates of important CUSAT 2019 exam events. Aspirants belonging to Gujarat state can take the GUJCET 2019 exam to get into their favourite technical colleges in the state. The Gujarat Common Entrance Test is conducted by GSHSEB (Gujarat Secondary and Higher Secondary Education Board). Those who emerge successful in the above-mentioned entrance exam can pursue a career in the field of engineering (B.E./B.Tech). Qualified candidates can dream of getting a seat in government, self-financed and grant-in-aid institutions. The GUJCET 2019 application form will be available to all the aspirants in the state towards the end of March. Goa Common Entrance Test (GCET) is one of the popular state-level engineering entrance exams administered by DTE (Directorate of Technical Education). Besides the engineering course, candidates after clearing the exam can think of pursuing pharmacy courses. Moreover, the authority takes the application forms for architecture and medical courses based on NATA and NEET score respectively. Aspirants looking for GCET 2019 application form for engineering programmes are advised to wait until March for the release of official notification. Let’s take a broad look at some of the pivotal Goa Common Entrance Test 2019 events below. The Uttarakhand Technical University conducts UKSEE exam every year to filter out eligible students for the engineering course. Interested candidates are recommended to keep a watch on the official website of UTU (http://uktech.ac.in/) for the upcoming notification. The UKSEE 2019 important dates are mentioned below. Another state-level engineering entrance examination is TANCET. The Tamil Nadu Common Entrance Test is carried out by the Anna University for admission into postgraduate programmes. Those who qualify the exam can easily get a seat in the University or its affiliated colleges within the state. If you are excited about applying for TANCET 2019 exam, keep checking the official web portal (https://www.annauniv.edu). Another engineering exam managed and administered by the Anna University is TNEA. The demand for the entrance exam is increasing year by year. To appear for the Tamil Nadu Engineering Admissions exam, aspirants must showcase their 12th certificates with 50 per cent marks in Physics, Chemistry and Mathematics group. Candidates from different states, other than Tamil Nadu, are not eligible for the exam. If you have done the Class XII and are looking forward to grabbing more information about TNEA 2019, get to know the important exam dates. To provide admissions to various B.Tech/B.E. programmes, the Amrita University, also known as the Amrita Vishwa Vidyapeetham, conducts Amrita Engineering Entrance Examination. The university-level examination invites applications from interested and eligible candidates in the first-half of December 2018. AEEE is a 4-year programme offered by the varsity in all its campuses. AEEE 2019 exam will be commenced in both – online and offline – forms in the month of April. For more information, refer to the following table. Did we miss out any? If you think so, let us know in the comment box below. This is a mere list of top 10 engineering exams conducted in India. However, there are several other engineering entrance exams taken place by various states. Our next article will constitute 20 more state-level engineering exams. Stay tuned!